San Diego, CA – On January 6th, Robolink, Inc. launched a Kickstarter campaign for the CoDrone, a drone that anyone can learn to program and fly. Drone-lovers of all ages can program the CoDrone to follow people, engage in laser-tag battles, go bowling (with the drone as the bowling ball! ), fly in customized patterns, follow waypoints, navigate mazes and more. Robolink is creating a series of step-by-step video tutorials to teach beginners how to code all of these basic tasks. But with the six different sensors (Onboard Camera, Gyro, Accelerometer, etc) in the CoDrone combined with the ability to easily program its behavior, the possibilities are endless. 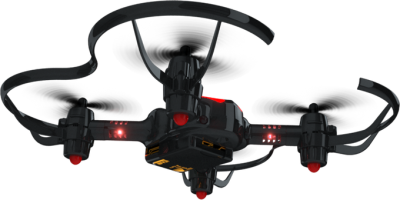 The Codrone kit will retail for $179, but will go for $139 during the Kickstarter campaign and as little as $119 for the first backers. The kit includes everything needed to build and fly the drone. To program the Codrone, all that is required is a computer. Dieser Eintrag wurde veröffentlicht in Crowdfunding, English, General, UAV und verschlagwortet mit CoDrone, Drone, Kickstarter von Sebastian Trella. Permanenter Link zum Eintrag.